Confused about what it means to eat a “healthy diet?” Have you tried every diet plan under the sun only to feel like you’re not getting anywhere in terms of good health? There is a plethora of misinformation when it comes to what a healthy diet really is. But eating a healthy diet is actually very simple. What’s difficult is navigating through a world where processed junk foods are prized and readily available. 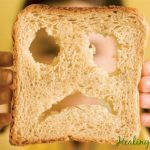 What makes eating healthy even more of a challenge is that real healthy foods are often demonized or discredited, while processed foods (like low fat foods, artificial sweeteners and grain-based foods) are glorified. But eating healthy is actually easy if you follow Mother Nature’s rules. Here are Healing Gourmet’s simple tips to help you get on track to creating a healthy diet… with ease. Choose foods in Mother Nature’s Perfect Packaging for optimum health. Whole foods — pastured-raised meats and eggs, wild fish, nuts and seeds, and organic vegetables and fruits — are the key to optimum health. If you focus on buying food without labels, you’ll eliminate most of the chemicals, salt, refined sugars and carbs from your diet. Not only that, but when you enjoy whole foods in their natural state, you’ll supply your body with the nutrients it needs to thrive, leading to feeling better, looking better, and living longer. It’s easy to get confused about fat. Nutritionists, doctors and even governments have gone back and forth for decades now as to whether fat is good for you… or bad for you. Once demonized for its high saturated fat content, we now know that coconut is one of the healthiest foods you can enjoy. Here’s the truth: Eating the right kind of fat is absolutely essential for good health. But what is the “right” kind of fat? Avocados, olives and nuts (rich in monounsaturated fats), coconuts (full of healthy medium chain triglycerides), as well as fats from healthy animals that were raised as Mother Nature intended (on pasture… not pens!). Processed vegetable oils, hydrogenated fats (found in many packaged products) and animal fats from conventionally-raised animals and farm-raised fish (high in inflammatory omega-6s), should be avoided at all costs. Cows are meant to eat grass, but the vast majority (over 80%!) of those we eat in the United States are fed grain. While grain-feeding is good for conventional farmers’ bottom line, it’s bad news for our diet and our long term health. You see, when cows eat grains, their body composition changes. They become more fatty, and they type of fat in their body is higher in omega-6 fats (and lower in beneficial omega 3 fats). Get more nutrients and better flavor with clean grass-fed beef. What’s more, the other chemicals, antibiotics and growth hormones the cattle routinely receive are stored in their fatty tissues, and passed along to us. And because animals in factory farms are packed into tight, unsanitary spaces they are much more likely to carry food borne illnesses like E. Coli and salmonella. Seek out farms and suppliers that produce meat that comes from healthy animals raised right. Grass-fed beef, and pasture raised chicken and pork are the only choices you should make when it comes to meat. An added bonus: Meat from animals that graze on pasture or forage provides a variety of disease-fighting nutrients and healthy fats (like CLA) that promote heart health and lead to a long life. You read that right – healthy meat is part of a healthy diet! Think factory farmed meats are the only health hazard when it comes to the animals you eat? Think again. Farmed fish are just as bad – if not worse – than factory farmed burgers. Tilapia is one of the most toxic fish you can eat. But because fish is known as a “health” food many people tend to ignore the way it was raised. Eating certain kinds of fish can also have another downside not associated with meats: Mercury. The larger the fish, the more mercury it has. Swordfish, tuna and other large fish are all culprits. The best types of fish to eat on a regular basis are small, wild varieties. Sardines, mackerel and anchovies are great choices, and will provide plenty of omega-3’s without all the contaminants that come with larger fish. Another bonus? They’re sustainable! Can You Say Disodium Guanylate? If you’re buying packaged foods like frozen meals, processed cookies and chips and other junk, chances are you’re consuming a wide variety of food chemicals. Sadly, there are thousands of chemicals that are legal, and found in all types of foods… even those that claim to be healthy (or even organic). Always read the ingredients on food labels. Second, if you do buy something that comes in a package (there are some foods that aren’t so bad, such as canned beans or tomatoes), always read food labels. If you see something that you don’t recognize or that you can’t pronounce, don’t buy it. These chemicals and preservatives may enhance the flavor of these food-like products (MSG), but they can take a serious toll on your health. When you think of sugar, you might think of a slice of chocolate cake… a cookie… or a soda. But the truth is, sugar is in a wide variety of packaged foods that you might not expect – including sauces, soups and other packaged foods. If you’re choosing foods in Mother Nature’s perfect packaging, you still need to be careful: Sugar in fruit counts too! Sugar – in ANY form – promotes aging and disease. In fact, whether the sugar you eat comes from a can of soda or a handful of organic raisins, it is all the same to your body and your metabolism. (Learn about the dangers of fructose here). Sugar increases blood sugar and insulin levels, promotes inflammation and free radical damage, speeds the aging process, increases the risk for diabetes, cancer, heart disease and Alzheimer’s (to name a few). Think sugar-free versions of your favorite products are better? Not by a long shot. Artificial sweeteners (like sucralose) are just as bad when it comes to a healthy diet. A healthy option? Bake with stevia ( a natural sweet herb) and non-GMO erythritol (a sugar alcohol) for naturally sweet sugar-free treats. Your health is the single most important factor for living a happy life. Healing Gourmet is here to help you learn how you can create the healthy diet that will add more life to your years… and more years to your life!